Tamoxifen (Cytotam or Tamoxifen Citrate 10mg) is used for the treatment of breast cancer for both men and women. 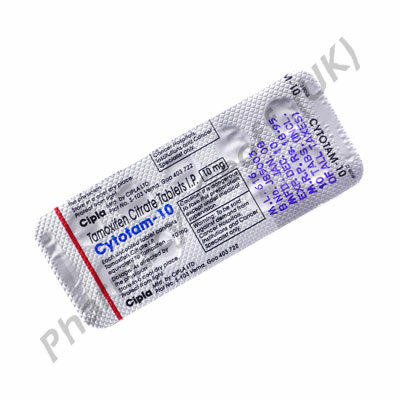 This type of medication works by reducing the amount of estrogen which is a hormone that the body produces. Sometimes this medication is also used to help control and conquer other forms of cancer too include various skin cancers. Since breast cancer is often hereditary in nature, it has been used to help prevent it as well. Individuals that have been identified as high risk for this type of cancer by start a daily regimen of it. This type of medication is only offered by prescription and should only be used under the close supervision of the doctor. 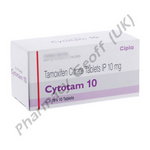 A low dose of Tamoxifen is often given first to see how a patient will respond to it. If the results are favorable then the use of it will be continued. However, it may be necessary for the dose to be adjusted over a period several weeks. It is important to tell the doctor if you are allergic to any other medications or any types of foods. It is also important to disclose over the counter medications, prescription medications, and herbal products used. This medication should be taken with a full glass of water. It can be taken with food or on an empty stomach. It sometimes causes nausea or vomiting for people that take it on an empty stomach though. Anyone experiencing changes in vision, coughs up blood, experiences chest pain, or notices a change in heart rate needs to notify their doctor immediately. A full medical exam and assessment should be done before someone takes Tamoxifen. Patients that have various health problems need to know that there can be more risks with them when this particular medication is taken. Such health concerns include risks of blood clots, cataracts, high cholesterol, and those that have had a heart attack or stroke in the past. 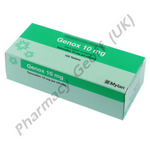 Women who are pregnant need to know that there is a huge risk to the fetus through the use of Tamoxifen. Women who are taking this medication should refrain from breastfeeding.